MC2 by Intracorp. NE exposure with stunning view of City and Mountains in South Tower, right across from Marine Gateway where the popular T&T, restaurants, bars and cinema are all within walking distance. 760 sf, 2 bedrooms and 2 bathrooms. Open layout with floor to ceiling windows, Cooling/Heating System, Blomberg kitchen appliances, wood flooring in the living area. Building has 24x7 Concierge, gym, putting green meeting room,, party room. 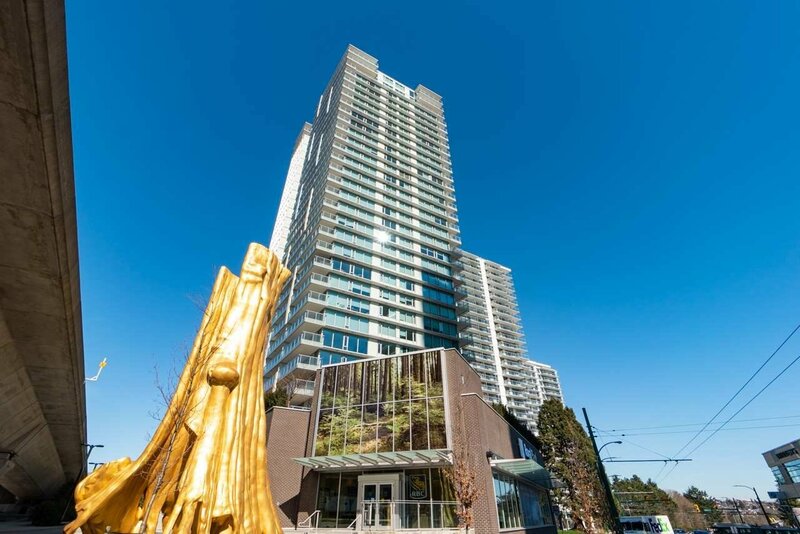 Walk to Skytrain Station and Bus Loop with easy access to Richmond, Airport, Downtown and other parts of the city. Winston Churchill Secondary School Catchment with IB Program. Easy to show. Open house March 23rd, 2-4 pm.